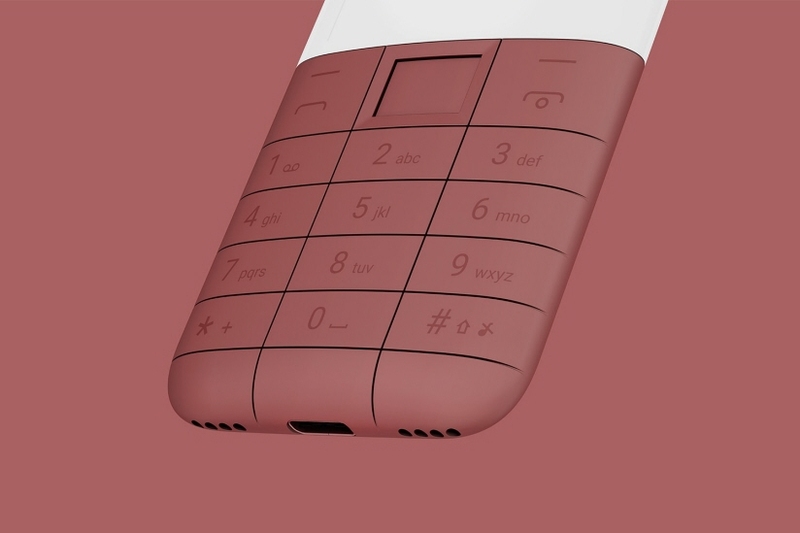 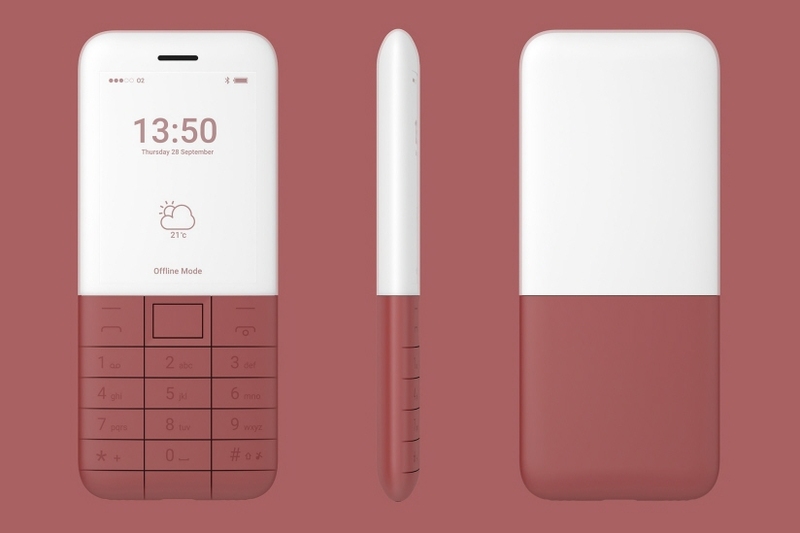 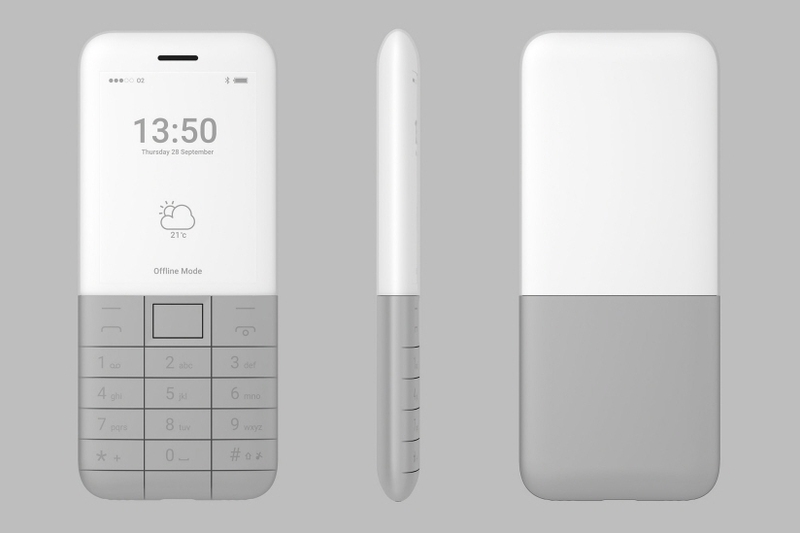 Our back-to-basics concept phone is a reaction to the hyper-connected world we live in. 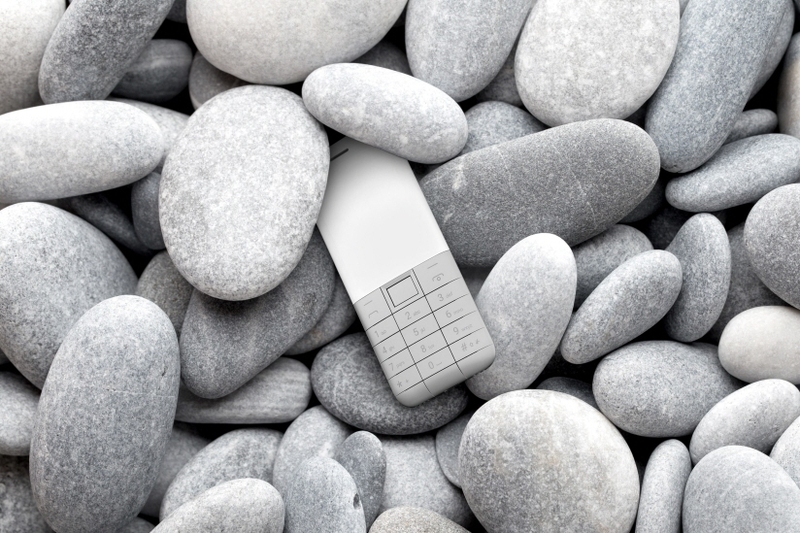 Constantly connected to the internet and bombarded with notifications and alerts - sometimes we need to detox from technology. 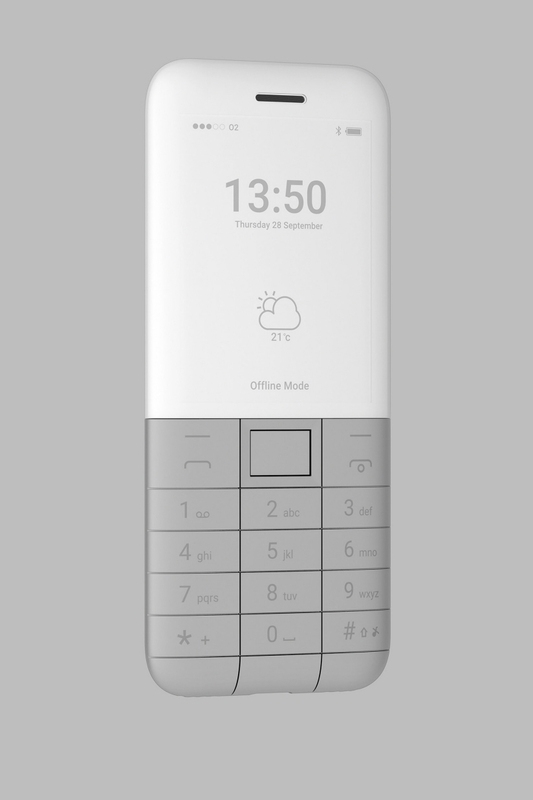 We propose that the primary state of the phone is ‘offline’ with the option for temporary connection to the internet, so that the user's online activity is thoughtful, and only when absolutely necessary. 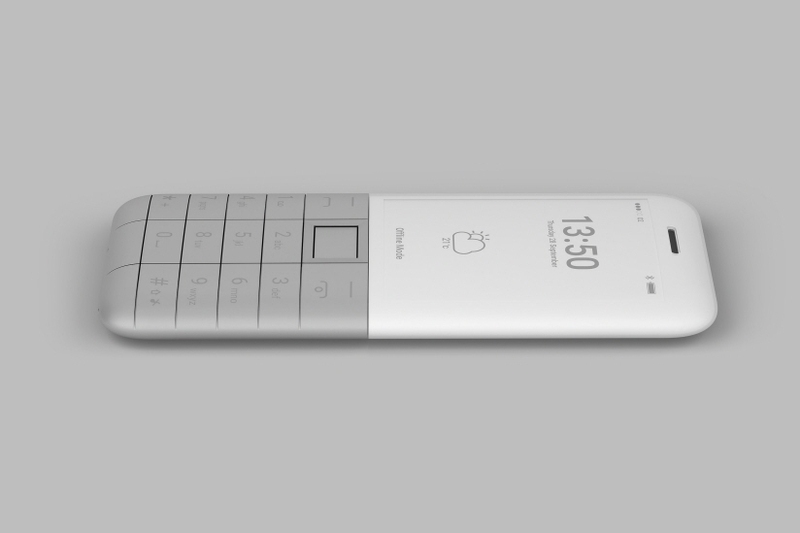 The thin layer of matte plastic covering the e-ink display gives the illusion of a wrap-around screen with no bezel. 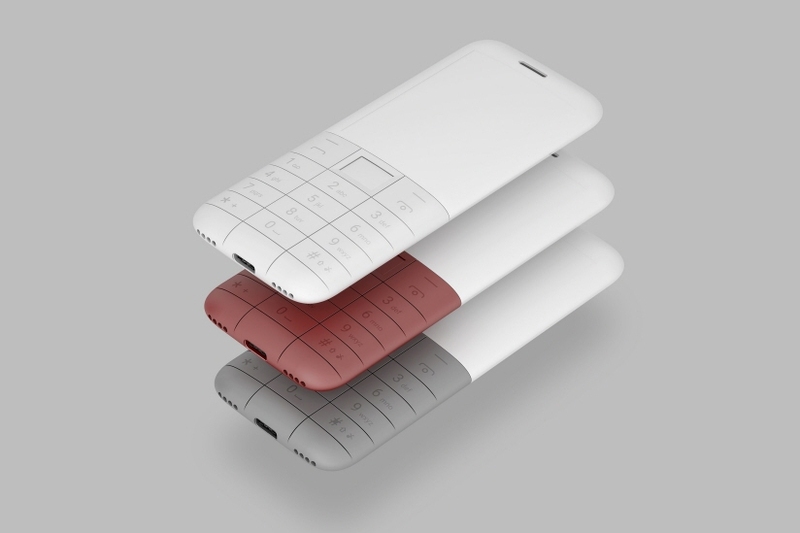 This execution has allowed us to emphasise the pebble-like form - with the aim of achieving a more tactile experience.